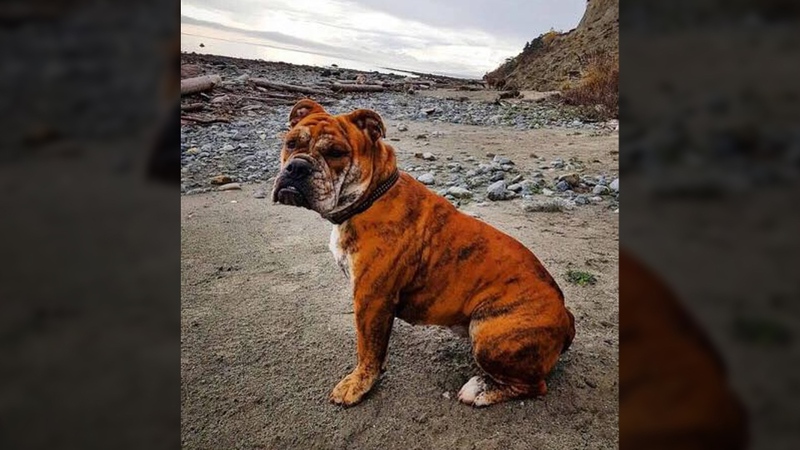 A Vancouver Island man whose bulldog was swept away in a river near Courtenay has put out an emotional plea for help finding her. Jonathan Macleod, owner of Comox Valley Boxing Club, said he was hiking along a set of waterfalls west of Courtenay known as the Medicine Bowls Thursday when two of his dogs ended up in the water. Macleod jumped in after the dogs, Rosie and Blue, to try to rescue them. "I was able to save Blue but Rosie got around me and went over the waterfall into the bowl," he wrote in a Facebook post. Comox Valley Search and Rescue launched a search of Browns River at the Medicine Bowls but were unable to find Rosie, who was carried downstream. They're asking people in the area to keep their eyes peeled for the dog as there's a chance she may have exited the water downstream. Macleod posted updates Friday saying he was returning to the area to search for Rosie. In an emotional video posted to Facebook, he expressed his gratitude for those who have been helping search for his beloved pet. "I'm sorry I can't get back to all of you guys, I've been searching the river all day," he said. "My phone keeps ringing and I just want to leave it for emergency in case someone finds her." A friend of Macleod's has launched a GoFundMe page to try to raise money for a helicopter that would conduct an aerial search for the dog. Comox Valley SAR is cautioning others who may travel to the Medicine Bowls, saying rocks there are extremely slippery and water is moving fast. "The rocks around the Medicine Bowls are extremely slippery and the water is moving fast, so we strongly urge the public, despite best intentions, to stay away from rocks and water's edge," they said. 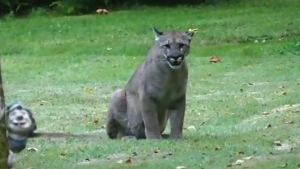 Students at a Nanaimo elementary school are being warned to avoid the nearby forest after a report of a possible cougar sighting.